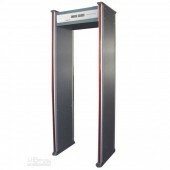 This item you are viewing is a Walkthrough Metal Detector with 5.7inch LCD Display which is used for security. 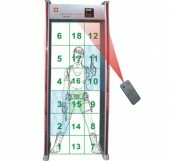 Firstly this device owns a 5.7inche LCD, which supports remote control and can display the detecting results. Then it owns the six interlaced detection regions of the same high with the body and can make the detection more accurate. And it owns four column alarm region with built-in ultra-high LED panels, in this case it can display the place of objective. Besides the sensitivity can be adjusted from 0 to 99, in this condition it can get rid of interference of scheduled metal. And by using digital and analog circuit design wrong alarm will be prevented. Apart from the above the password function makes your using safer. More details are here! Come and join our team, you will find products to your hearts’ content. Do not hesitate, go ahead and we will provide you high quality product at the best price for you. Nice after sales service. Thanks. It really works well and brings a lot of convenience to my life.